The two seater sofa could be described as a piece of furniture for two people; however add shape and fabric and the 2 seater sofa takes on a whole new meaning. Mid-century Kingsbury is smart, plain and a little bit 50s with handsome wooden legs in a selection of chic, hardwearing house fabrics to suit your mod interior. In our showrooms you will find handmade furniture and more, browse in our shops or see our full collection online. 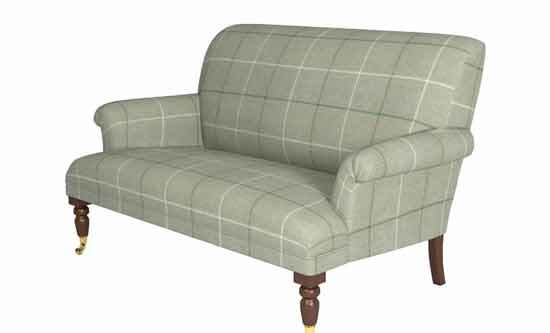 One of our bestselling products and a real beauty, the Alwinton settee is a cosy, squashy, comfy yet extremely smart, hardwearing, classic. 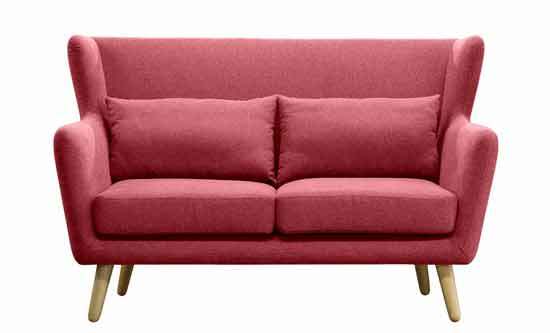 Its hip to be square…Ladbroke 2 seater sofa is angular but super-comfy & chic: a 30s inspired, manly sofa with wooden legs, foam cushions and just a little back buttoning. 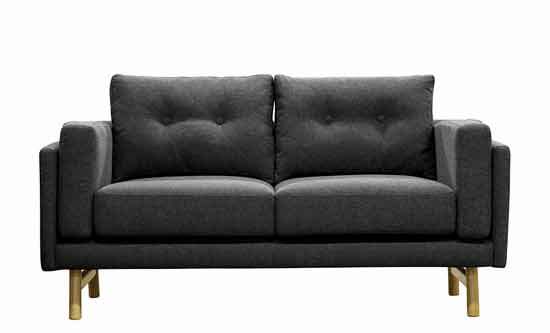 The perfect two seater sofa for any living room, you are sure to be a real sofa king with this purchase. 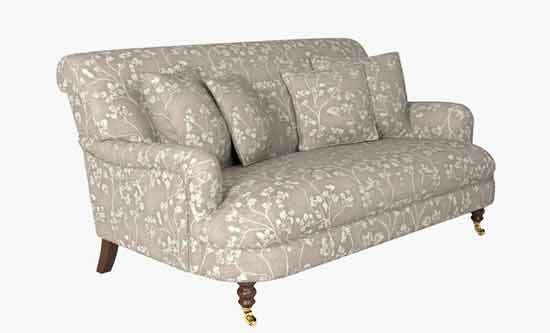 Very handsome, luxury sofas, traditional sofa, with elegant ‘Howard’ arms: tightly fitted cover and sprung back and seat. Low maintenance good looks. 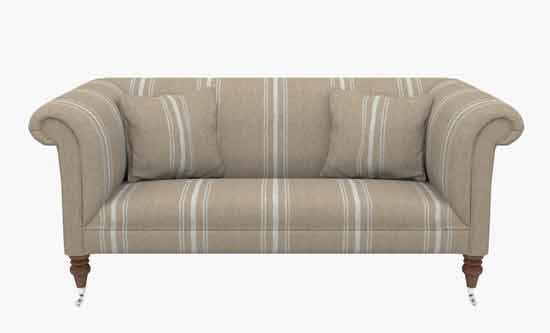 The holmfirth 2 seater sofa would look great in any room. The Kentwell is one of our best sellers. Contemporary sofa style, combined with head turning looks make the Kentwell the perfect designer sofa for your home. Why not browse our full collection of 2 seaters and small couches online, or pop into one of our stores. 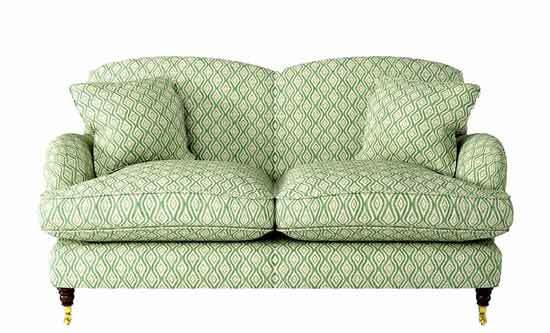 Stunning Chesterfield sofa style, equally fabulous in fitted plains or exotic velvets, wools and linen prints. A classic couch with more than a hint of drama. To some the Brighton range has more of a modern twist, which looks great in everything from studio apartment in need of something small, to those rather large country homes looking for a 2 seater for their lounge suites. 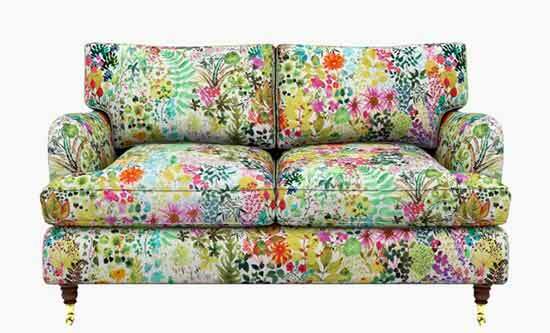 Modelled on an antique 18th century settee, an extremely pretty 2 seater sofa, perfect as a pair in a sitting room or bedroom, in blooming florals or pastels. This product is perfect for those looking for a more contemporary style, but still the good looks and smaller 2 seat size.